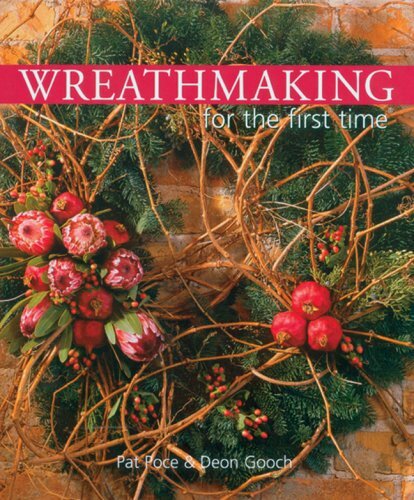 Wreaths for every occasion - whatever wreath you want to make, just ask "how?" and here's the answer. Open the covers, and inside this beginner's primer you'll find a cornucopia of exquisite ideas that anyone can master. A general section on the fundamentals will get you started; then start crafting some basic designs, including a vertical Wall Festoon, a Japanese River Cane or Oriental Bamboo Wreath. Hang the Wreath outside, or go Western with a wreath fashioned out of rope. A gallery showcases beautiful examples of the craft.